April 8, 2015 April 19, 2015 Lisa A. The green slide at the old Western Playland at Ascarate Park. Courtesy photo from Hot 93.5 Old School Facebook page. I never would’ve heard of Hot 93.5 Old School if it weren’t for some of my friends’ Facebook posts last night. OK I would’ve eventually found out about it but not last night! I don’t listen to local radio that much but this station might be an exception. The station plays a lot of what I listen to on Pandora Radio like Tupac, Biggie Smalls, Snoop Dogg, Lisa Lisa & Cult Jam (one of my nicknames at my day job); along with other songs that take me back to my elementary, middle and high school years. The good thing is they aren’t playing any commercials right now, just weather and traffic reports. The station also plays Marvin Gaye and Al Green. Hot 93.5 is owned by iHeartRadio/Clear Channel Radio. It made its El Paso debut at the end of March. Jerry Karnes ‘ElMalkreado’, a comedian from El Paso said the following on his Facebook page (I’m sure the guy was joking a little bit because that’s what he does for a living). 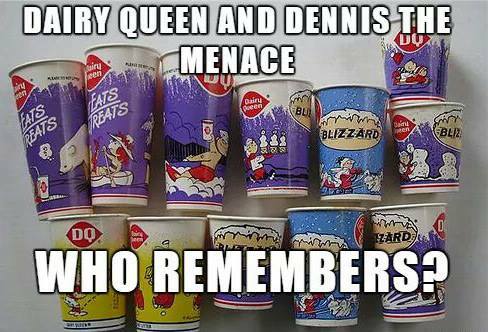 The station’s Facebook page features pictures from local El Paso businesses that shut down 10, 20 or maybe even 30 years ago. The station and its Facebook page remind listeners and followers of the cool things kids and adults did for fun back then. For example: Taking a drive through Ascarate Park, going to Western Playland Amusement Park when it was located inside of Ascarate, riding the El Bandido roller coaster there, partying in Juarez, going to Magic Landing Amusement Park (unfortunately it no longer exists), the former nightclubs that were once here like Monopoly and Pistol Pete’s Pizza. Pistol Pete’s Pizza was the place to be with childhood friends and family. I’ll never forget the kid’s birthday parties my parents had for me and my sister there. The pizza was delicious and they had a huge merry-go-round, along with TONS of arcade and ticket winning games. Peter Piper Pizza is one of my favorite pizza parlors these days but I don’t think it beats Pistol Pete’s. Although Western Playland still exists, it was moved to another location in Sunland Park, New Mexico. Unfortunately some of the rides were removed. 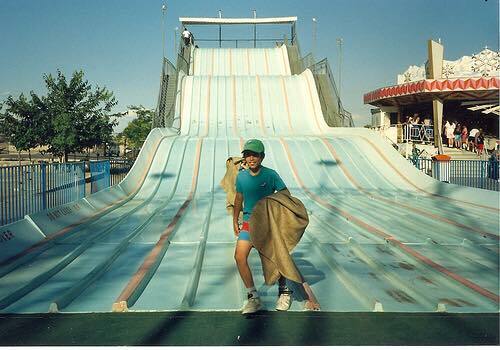 While the amusement park was in Ascarate Park, it had a huge light green slide with a lot of bumpy curves. You would slide down it by using a brown potato/burlap sack. The slide would give you that weird butterfly feeling in your stomach. It was tons of fun, especially as a 5 or 6 year old. I agree! Sometimes when I hear certain songs, I remember how old I was, what I was doing at the time. It’s funny how music from our youth can bring back the feelings and emotions experienced then. I’m a little older than you but eighties music does it every time!